Looking for an award that stands apart from your typical soccer trophy or medal? 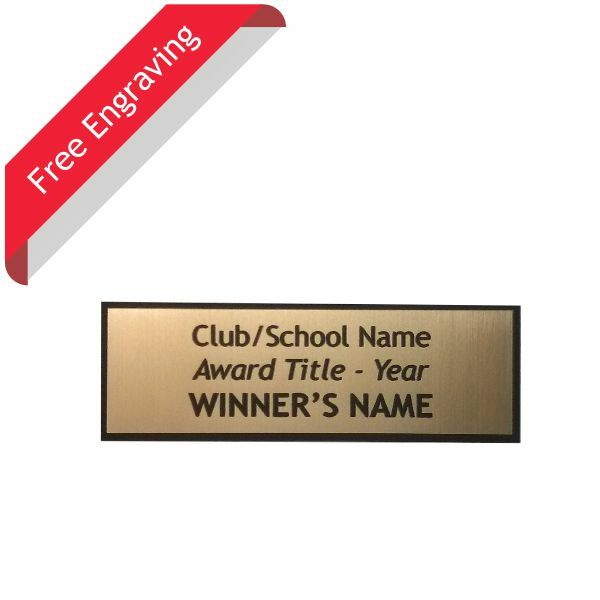 Then these classic plaques are just waiting to be given to your team at the end of this season. They feature a 2-D soccer themed disc on a wooden curved plaque with your engraving on a gold plate below. Don't delay and order yours today. Available in 3 sizes: Small 155mm, Medium 180mm & Large 200mm. Simply select your size from the drop down menu above.